Al Rumaihi at City Centre Bahrain's 10th anniversary celebrations. Majid Al Futtaim, the leading shopping mall, communities, retail and leisure pioneer across the Middle East, Africa and Asia, will celebrate City Centre Bahrain’s 10th Anniversary with a fun-filled packed schedule of thrilling family events and incredible rewards for shoppers to mark the milestone. To mark the occasion, Majid Al Futtaim has a line-up of events creating great family moments and rewarding experiences. Shoppers can join in on a whole host of celebratory activities throughout the months of December and January, kicking off with a chance to win a luxury Lexus LX570s – Sports Line 2019 from this month. Throughout the two-month long celebrations City Centre Bahrain is offering shoppers the chance to win exciting prizes, said the statement from Majid Al Futtaim. Visitors who redeem shopping receipts for BD30 ($79) have the chance to enter a draw and win a luxurious Lexus LX570s – Sports Line 2019 model, while those with bills of BD50 ($132), will receive a Golden Ticket, which entitles them to an instant collectible gift and grants them access to the mall’s multiple train stations, where customers can view the latest in winter trends, be transported on a 4D Journey to the North Pole, collect instant prizes and more. 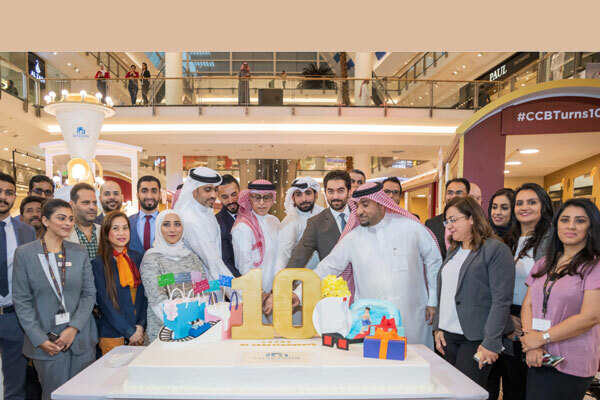 Unveiling the grand plans, Duaij Al Rumaihi, the senior mall manager at City Centre Bahrain, said: "We are delighted to celebrate City Centre Bahrain’s 10th anniversary with our customers and reward shoppers with incredible winning opportunities. Over the past decade we have hosted many great moments that have contributed towards the mall’s position as the leading shopping, entertainment and lifestyle destination in the kingdom." "It is an exciting time for City Centre Bahrain and we look forward to marking the milestone with unique experiences, world-class family events and compelling winning opportunities," he stated. "To mark 10 years of the mall's success, visitors are being invited to join us on a unique celebratory and festive winter journey as City Centre Bahrain’s Central Galleria gets transformed into a stunning winter display and train station, taking customers on a thrilling journey filled with instant rewards and exciting entertainment," he said. Besides, visitors will get a chance to tap along with the ‘Glitz & Glam’ dance troupe, performing for the first time in Bahrain from January 10 to 12, with their classical top hats and tails, he added. Since opening its doors in September 2008, City Centre Bahrain has maintained its position as the largest shopping, leisure and entertainment destination in the kingdom. The mall is home to a mix of leisure and retail destinations with more than 340 outlets for fashion, dining, health and wellness and entertainment for the whole family to enjoy, said a statement from Majid Al Futtaim. "These include entertainment and leisure offerings Wahoo! Waterpark, the Middle East’s first and largest indoor-outdoor waterpark, a 20 screen Vox | Cineco Cinema and Magic Planet, one of the most popular family entertainment centres for children and young adults," he stated.